In a rehearsal studio off Times Square last week, Darren Criss — a breakout star of the Fox high school musical series “Glee” — was performing a bit too perfectly. Preparing for his Broadway debut on Tuesday night as the corporate climber J. Pierrepont Finch in “How to Succeed in Business Without Really Trying,” Mr. Criss was leaping into the air during the number “Grand Old Ivy” and tucking in his feet as a dancer would. This drew a correction from the director, Rob Ashford, who wanted Mr. Criss’s feet to be flat and extend sideways like those of an outstretched marionette, because his character should lack finesse. “What you’re doing is almost too good,” Mr. Ashford told Mr. Criss, who stood panting slightly in dress slacks and a blue T-shirt from his alma mater, the University of Michigan. A moment later Mr. Criss nailed the leap with precise imprecision. Click read more to read the rest. This three-week offer to play Finch, relatively rare for a newcomer to Broadway, is the latest height in a dizzying rise for Mr. Criss, who became a literal overnight sensation after his first appearance on “Glee” in November 2010. In that episode Mr. Criss — playing a gay member of a high school choir being eyed by a series regular — sang vocals covering “Teenage Dream,” a pop hit by Katy Perry. 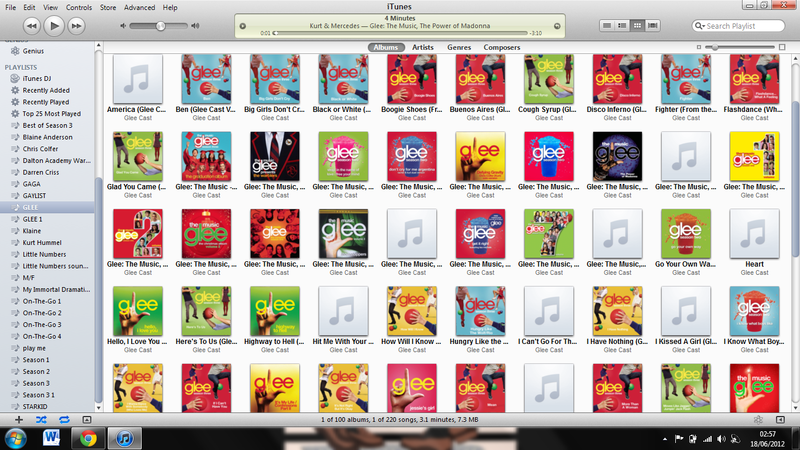 Other “Glee” cast recordings had been released to success on Billboard charts, but “Teenage Dream” became a meteoric seller. Soon the curly-haired, dark-eyed Mr. Criss was an idol, appearing solo in GQ (under the headline “King of the High School Musical”) and on People magazine’s Sexiest Men Alive list. 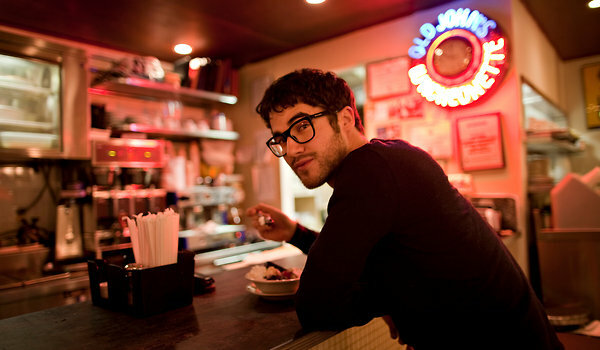 This season he became a main character on “Glee,” a promotion he said he had no reason to expect a year ago. At the University of Michigan, a training ground for Broadway singers like Gavin Creel and Hunter Foster, Mr. Criss said he had never done a musical until he wrote one with friends. “A Very Potter Musical,” their parody of the Harry Potter books and movies, became a cult hit on campus; a filmed performance has drawn millions of views on YouTube, and Mr. Criss and his collaborators soon formed their own theater company, StarKid Productions, in Chicago. “Starship” was typical of the “four or five projects” that Mr. Criss said he had going at one time, relying on e-mail and iPhone applications to help him stay working beyond “Glee” land. In fact, he described his eight-performances-a-week schedule in “How to Succeed” as “the easiest thing I’ve done in a while, in the best sense,” compared with “Glee” shoots that can begin at 6 a.m. Even though he looked different from his “Glee” character, Blaine Anderson, a succession of fans came over in the diner to ask for autographs, including three tween girls from Buenos Aires who were briefly dumbstruck when he asked how to spell their names. Mr. Criss credited his parents with “giving me a sense of humility and the good judgment about how to spend every day.” Those instincts, he said, led him in 2010 to meet with the film and theater producers Craig Zadan and Neil Meron, who were impressed with his “Glee” work. The producers then proposed having Mr. Criss succeed Mr. Radcliffe, and the “Glee” producers agreed to let him out for three weeks (to which he added his two-week winter vacation for rehearsals). The Broadway producers said they would be delighted to have him return to the musical during a future “Glee” hiatus. Mr. Ashford, the director, acknowledged that many actors feel that they don’t settle into a solid performance until they have spent several weeks onstage, but he predicted that Mr. Criss would find his footing quickly. Mr. Criss was still mastering his lines for “How to Succeed” last week, yet he laughed a little dismissively when asked if he was wishing he’d spent his “Glee” winter break on a tropical vacation with a lady friend. (Though he is straight, the series has made him a gay role model; as for his love life, he declined to comment.) Mr. Criss also politely shrugged off the idea that he was giving Broadway a try to stretch as an actor.